The “GenerateRdlTask” task failed unexpectedly. 1. Open the Start Menu and right click on Computer. Select Properties. 2. Select Advanced system settings. 3. 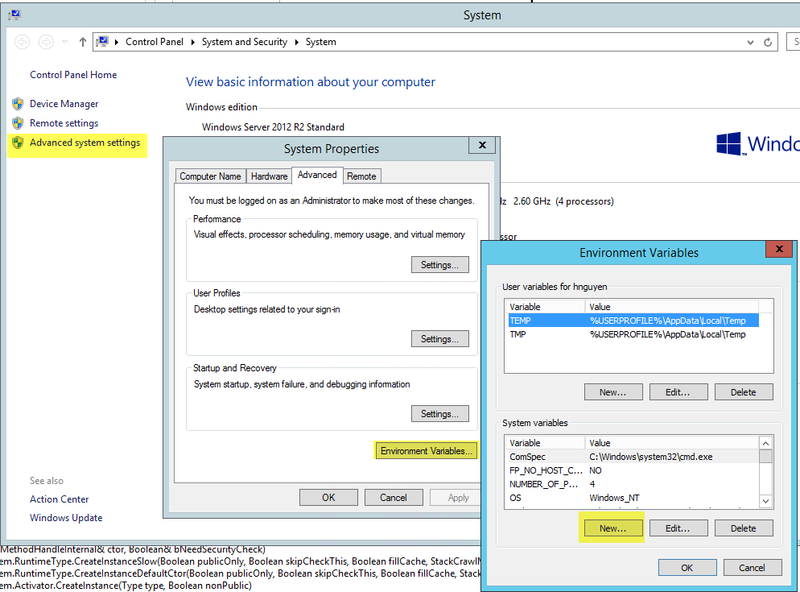 In the Advanced tab, select Environment Variables. 8. Open the report using VS 2013 and try again.